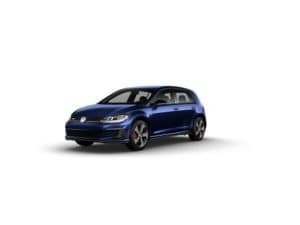 A hatchback like the Volkswagen Golf GTI should provide you with a great mix of agile handling, convenient room inside the cabin, and lots of fun features. So, what does the latest model have to offer? Toms River Volkswagen put this 2019 Volkswagen Golf GTI review together, so drivers in Toms River, Brick, and Freehold can see everything it’s capable of. Contact us today to schedule a test drive! The Volkswagen Golf GTI runs on a 2.0L TSI® 4-cylinder turbocharged engine that can get up to 228 horsepower and 258 lb-ft of torque. This powertrain works with a standard 6-speed manual transmission, but a 7-speed DSG® automatic is also available. You’ll still be able to control the gear shifting with the automatic, thanks to its Tiptronic® design and steering-wheel-mounted paddle shifters. You can rely on this exciting hatchback in any situation too. It sits on an autobahn-tuned sport suspension to maintain grip and deliver a smooth ride around even the tightest corners. With its limited-slip differential, it can even transfer 100 percent of the torque to a single wheel. Both the chassis and the damping can be adjusted to match your drive too. Driving Mode Selection allows you to switch between five modes: Eco, Comfort, Normal, Sport, and Custom. While the Volkswagen Golf GTI offers an exciting drive, it can also help you keep your journey going by delivering great fuel economy. It gets up to an EPA-estimated 24 MPG city and 32 MPG highway[i]. The Volkswagen Golf GTI has an interior cabin that matches its sporty powertrain. Inside you’ll find a leather-wrapped, multi-function steering wheel and comfortable sport seats with either leather upholstery or Clark Plaid cloth with red accents. While this hatchback has a compact design, it’s roomy inside and features both lots of cargo room and 93.5 cubic feet of passenger space. This system located on your dashboard is also Bluetooth®-compatible, so you can stream your favorite music and podcasts, or make hands-free phone calls. It’ll even give you more awareness of what’s around you. When you shift into reverse, the screen switches its display to a live look at what the Rear-View Camera System sees behind you. 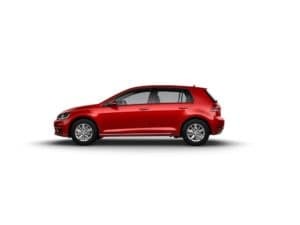 Visit Toms River VW to test drive the sporty and stylish Volkswagen Golf GTI. In any conditions, it offers a fun and convenient drive around Toms River, Brick, and Freehold. To learn more about this 2019 Volkswagen Golf GTI review, contact us or visit our dealership. 24 city/32 highway MPG (2019 VW Golf GTI 2.0L, 6-speed manual transmission). EPA estimates. Your mileage will vary and depends on several factors, including your driving habits and vehicle condition.